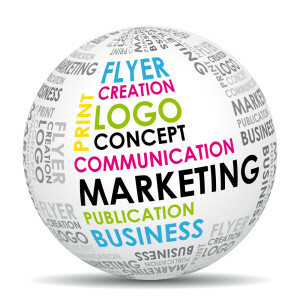 At Handy Marketing Solutions we have just under 14 years in the print industry with a number of years based within local newspapers before this. There are not many print products that we have not sourced over the years from Business Cards and sales leaflets to banners, brochures, table menus, pens, balloons, signage … We can even source recycled or recyclable products within all paper and card stock plus banners and pop up signs. Although our experience of sourcing and buying print products is good, it is not the reason why you should consider using our services. The reason your company will benefit from using our print broker services is that we can normally find exceptional prices for any print job, without compromising on quality and customer service. We are constantly researching new suppliers and keeping check on our main panel of regular printers so that we can stay abreast of the difference in each companies pricing systems. You may well feel that you have found a good printer that offers you the best price but beware. The vast difference in print machinery and economies of scale that some printers can leverage mean that a printer can be very competitive on one type of work such as A5, A6 leaflets but could be charging over double the cost of another printer for a product such as business cards or brochures. We look at this and over the years have come to know what printers are best for each particular type of work meaning that we can offer you competitive prices pretty much across the printing spectrum. For further details and a quotation for any type of print job, please call Tony Carter on 07973 863820.